Two men were knocking in nails to the sides of a house, one of them kept throwing them away. "Why do you keep throwing nails away" said the other. 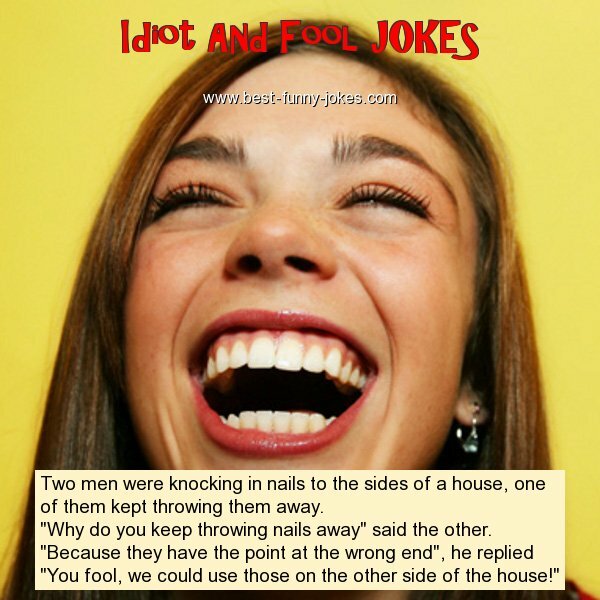 "Because they have the point at the wrong end", he replied "You fool, we could use those on the other side of the house!"